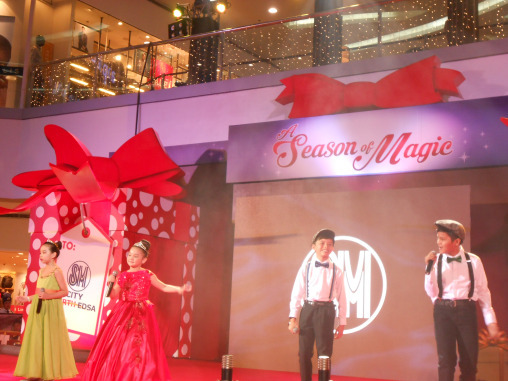 One of the things everyone looks forward to during Christmas is the theme that SM will have for its different malls. Ever since this started, I've always wondered what would be the chosen theme for the SM that was nearest to us and for the other SM Supermalls that were all over the city. When I found out that I was one of the few lucky enough to find out what SM North Edsa will be having as a theme, I was very excited. SM City North Edsa has a Line up of activities this December all the way to January. 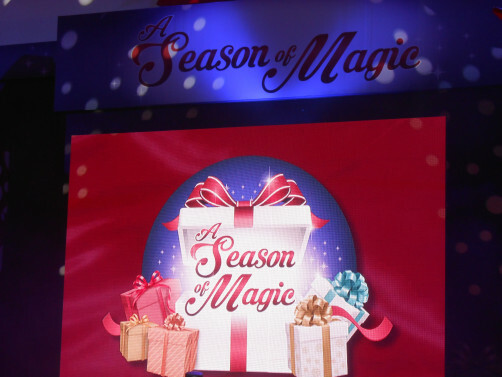 Last November 6 2015, Disney Christmas City officially launched to public at the Block Atrium. You can experience the magical city were you can take photos with well loved characters of Disney Legends Mickey Mouse, Minnie Mouse, Goofy, Donald Duck and Pluto. The launch also introduced the Disney Gift Shop and buy disney collectibles, toys and much more. The highlights of the event introduces 24 feet high Christmas Tree that is ready for the Holidays. From November 6 to January 10, 2015 – come and visit SM City North Edsa and check out Disney Christmas Village at the Block Atrium. Explore the charmingly quirky house of Mickey Mouse and Minnie mouse and take photo of yourself with Mickey’s shiny car and Minnie wishing shoppers all the best. Goofy’s Diner and Disney Gift Shop. Experience a Galactic Christmas in SM City North Edsa from November 6 to January 10 at the Annex Cyberzone 4th floor. Get up close and personal with your favorite galactic heroes and get your photos taken with majectic tie fighter. Dreams come true as mall goers witness the dazzling pyrotechnics display and marvel sensational and colorful moving performances and parade. Fireworks and magical parade from November 6 and 29, December 23 and 30 at 7PM Skygarden and Mall- wide Parade on December 13 at 5pm. SM City North Edsa continues its promise to bring exciting and unique experiences to its patrons and this christmas season will surely be another memorable one. GO North and Share the Magic this Holiday!